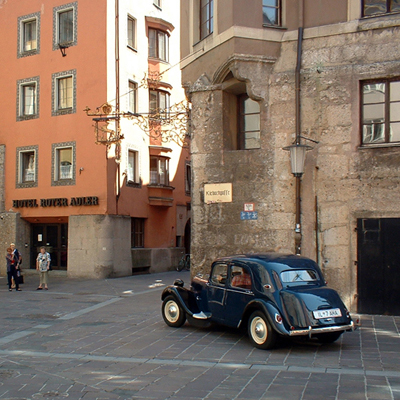 Was walking through Innsbruck a few years ago and hit a time warp. This is a strange one as I’m not a big Iggy Pop fan. This album is probably the reason I’m so lukewarm to this artist. Mind you, I like artists that reinvent themselves and experiment with new sounds and genres. 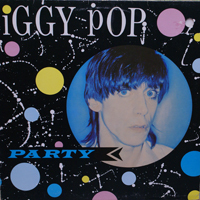 But this… At times I had to get up and look at the spinning record to make sure that this was Iggy Pop on the turntable. Take for example Happy Man, a faux ska-like ditty that follows the passable tune called Pumpin’ for Jill. What were they thinking? 1981 was the year that New Wave was cresting on the shores of popularity and some of these tunes are obviously attempts to cash in on this music trend that it is quite embarrassing. Just listen to the final track, Time won’t let me – sheesh… Party is a muddled album that is more suitable to be background music to everyday activities than to actually party to. NB: After writing this, I listened to it again. Does not get any better … it gets worse. I finally got my old skis tuned up and bindings adjusted to fit my new (but used) boots. It is quite startling how good I felt on my old skis. Last year I went skiing and rented a set of new skis. They were short, wide and meant for turning I was assured by the rental clerk. Well they turned but I had no confidence in them. At speed they wobbled. The turns were vague at best. I did not get that bite into the slope feel that I did with the old skis. Now, I have the old skis back and skiing is much better. I tuned up my older shorter skis, 175cm, and will get my 198cm skis ready when I go hit a really big hill. 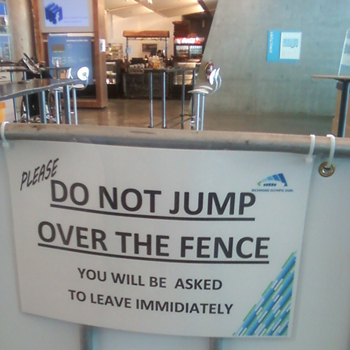 Sign at the place that used to be the skating oval at the Vancouver Winter Olympics. Another car racing themed album popped out. I picked this up at a garage sale many years ago. On the cover it promises, “The hottest things on the strip come to life in this thrill-a-second recording!” It is overselling itself. I dosed off listening to the second side. The announcer, although using very dated hyperbole, is very muted. In fact, the whole album is very peaceful. Kind of like white noise. I remember listening to football and hockey on the radio when I was a kid and remember that it was fairly interesting. Listening to this is fascinating in a hipster-ironic kind of way. There are many moments of silence punctuated by engines revving for about eight seconds. Then just the popping and hissing of the album. Unlike watching drag racing on TV (which is a dubious viewing experience anyways), listening to this you have absolutely no idea what is going on. 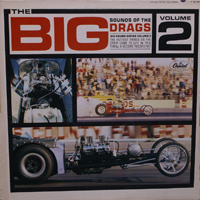 There is no modern context, as 1964, when this album was released, was the very early days of drag racing as an organized competition. Does this album give me the feeling that I’m “there as the top car drivers and mighty engines come screaming past the checkered flag”? No. But I enjoyed the quizzical looks I get from my family as I listened to this. 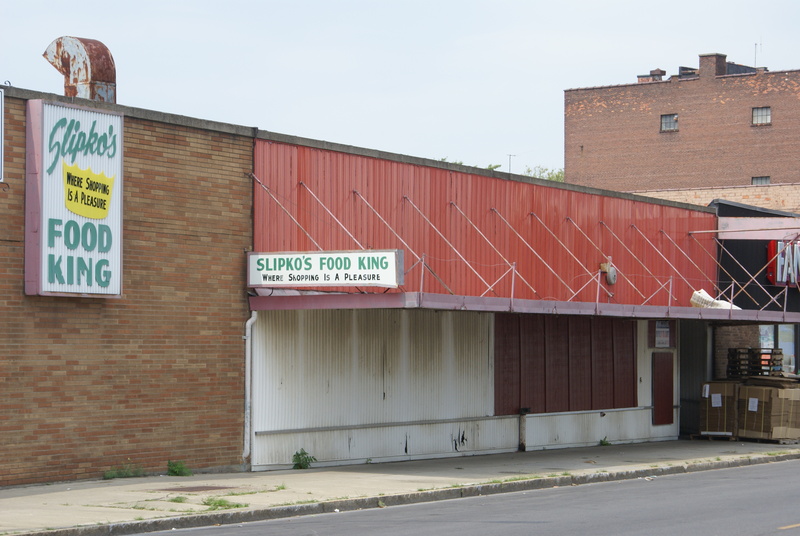 Niagara Falls, New York. Shopping pleasure close to the falls and all that. 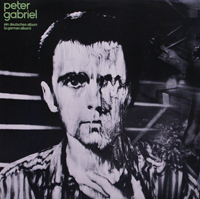 I’m not really sure why Peter Gabriel made a German version of his fourth album, but I’m glad he did. I have the English version as well, but I did not search for it as I did not want to do a comparison and it would be against my self imposed “review at random” approach to this. I don’t understand German, I’m limited to ordering beer and a few basic food items, but I appreciate how the language works with the music. The album sounds dated and fresh at the same time. I remember it being a landmark album when it came out and it still holds up very well for the most part. The sound is very 80s though simply because a lot of the musical ideas on this album were emulated by other 80s artists. Some of the songs really hold up. Keine Selbstkontrolle (No self control) is one. The big hit Spiel ohne Grenzen (Games without Frontiers) has also stood up very well. Although Biko, one of my favourite Gabriel songs loses a bit in this album. German lyrics and bagpipes do not do it for me. But really, great album to discover again after some 33 years.